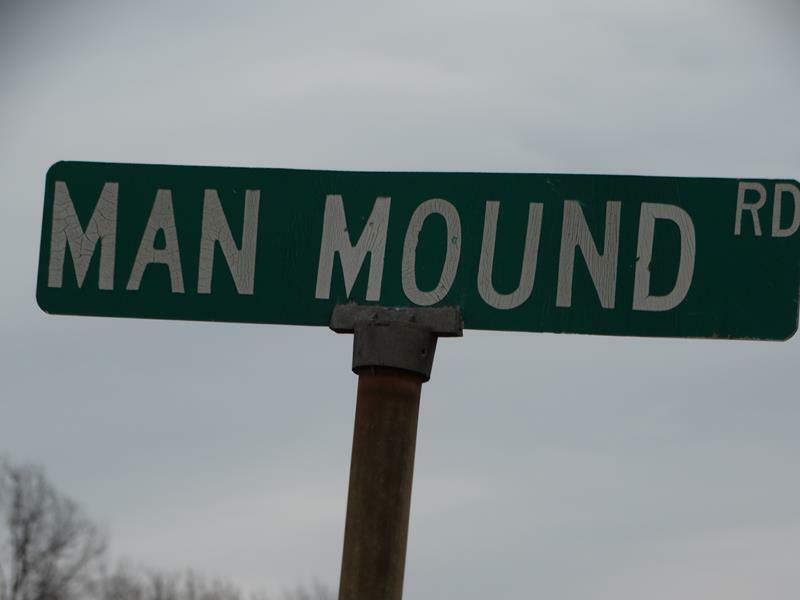 Man Mound is the only human-shaped effigy mound left in North America – that we know of. 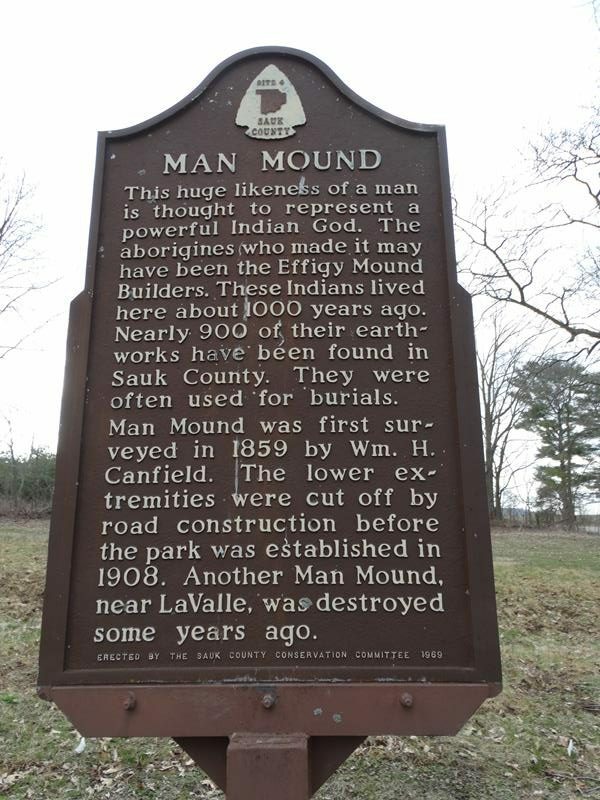 Constructed sometime between 600AD and 900AD by Native Americans, Man Mound is 214 feet long and raises up an average of 2.5 feet up from the ground. It served as a gathering place for feasts, sacred rituals, and many believe the burial of relatives’ remains, in part to connect with spirits. 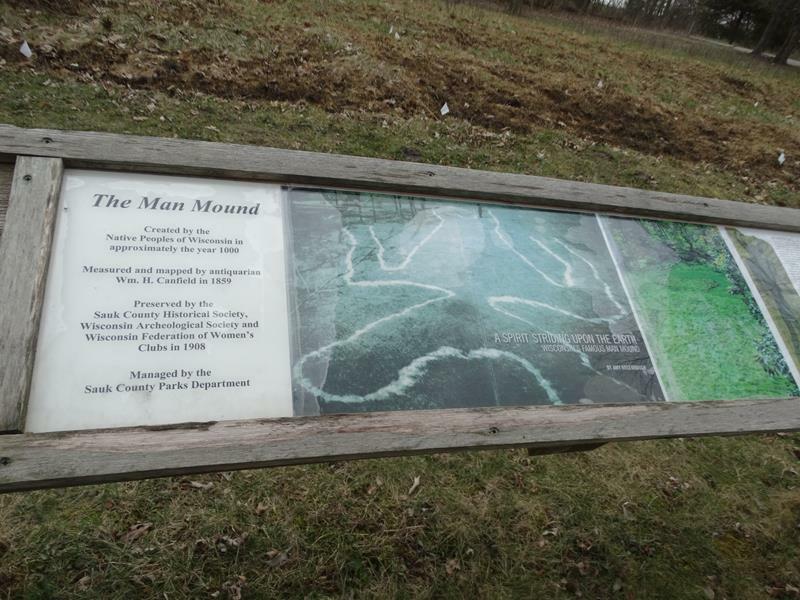 When you visit, you can see where the road cut through what was part of the Man’s legs; a farm across the street preserves some of the Man’s feet. The rest of the mound, in the park, is easy to decipher as the shape of a person, including the arms and head. 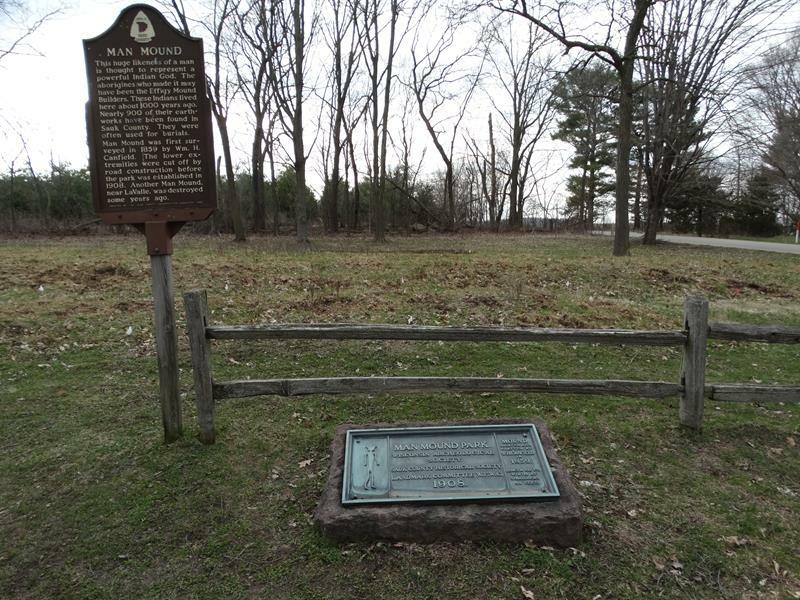 Here you can see the legs of Man Mound, part of which were cut off the road over 150 years ago. Construction of what is now Man Mound Road in the 19th century obliterated part of the Man’s legs, but the rest of the mound is in good shape. 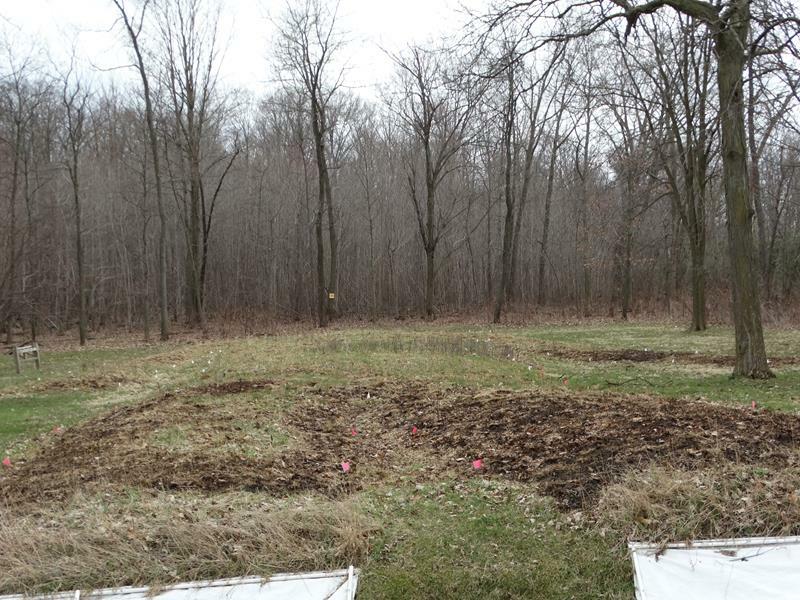 It was first identified and surveyed as a man-made mound in 1859 by a European settler named William Canfield. 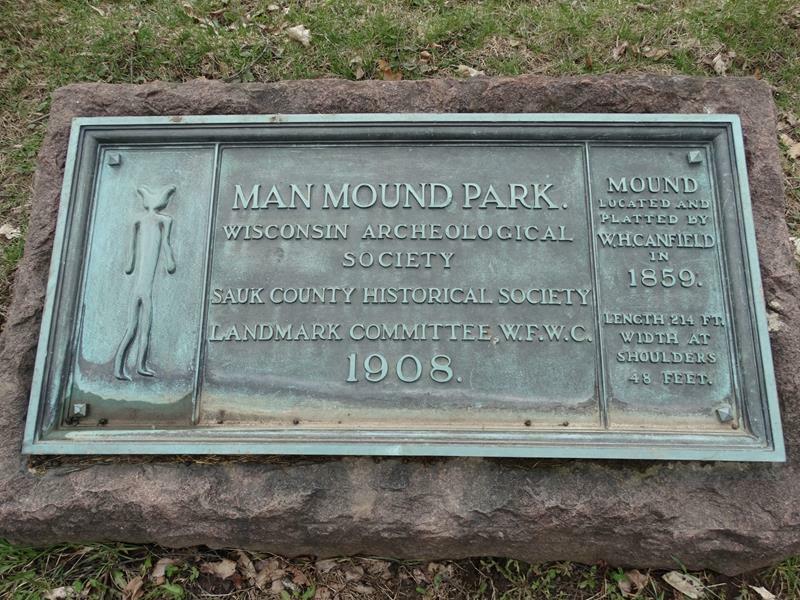 A county park was designated around it in 1908, helping to preserve the rest of the mound. It was added to the National Register of Historic Places in 1978 and became a National Historic Landmark in 2016. 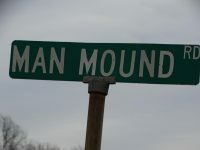 We first discovered Man Mound when we saw the road sign, which we thought was an interesting name, so we followed it. What a treat to stumble on this cool piece of history! Man Mound Park also has a playground, bathroom, and picnic tables. You’ll find it just off Highway 33 on Man Mound Road, northeast of Baraboo in Sauk County. It’s just over ten minutes from I-90/94.